Article marketing falls under the content marketing umbrella. And, it's an excellent tool for a number of reasons, but many writers seem to be missing the ‘optimized’ mark. 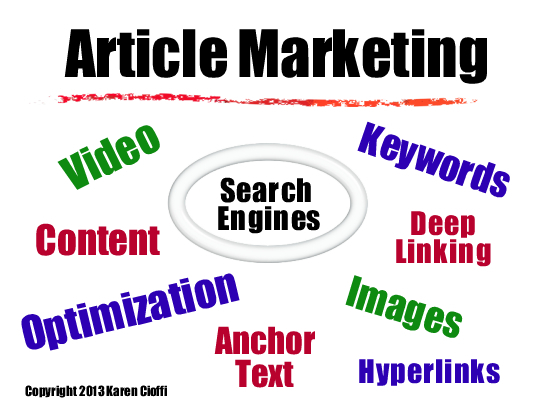 For those who aren’t sure what article marketing is, it’s using posts, articles, and other content to attract visitors. This includes the posts on your own website. Here are three mistakes you should avoid to boost your efforts. 1. You don’t take the time to self-edit your content before publishing. 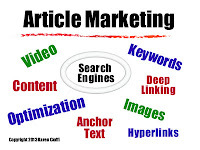 Article marketing encompasses a number of venues. There’s blogging on your own blog, there’s guest blogging, and there’s publishing with article directories and other venues. Whichever venue you use, self-editing your posts and articles is absolutely needed. With these purposes in mind, it’s important for your content to be polished. You want to look the part of a skilled writer. This is why self-editing is an absolute must. So, before you send off that article, or before you publish it yourself, take the few minutes it takes to READ it first. One trick is to close the article after writing it and go back to it in a day or two. You’ll be amazed at how much easier it is to spot errors when you do this. 2. You don’t include a bio or tag at the end of ‘every’ article. You write a slam-dunk article, that offers lots of information. You impress the reader. But, you don’t have an effective tag. In fact some blog posts don’t even include the author’s name. Whether it’s your own blog post, an article for an article directory, or it’s a guest post, you need to include a brief bio. So, be sure to include your name at the end of every post on your own site. And, it’s advisable to include a call-to-action. You might suggest the reader sign up for your newsletter or you can lead them to an offer. In regard to article directories, they provide a ‘resource’ or ‘bio’ box that appears at the end of your article. Take advantage of this tool and make your words effective. Be sure to lead the reader back to your website or to your call-to-action. The same holds true for guest blogging, you want the tag to be short and effective. 3. You don’t include hyperlinks in your posts. It seems most blogs don’t use hyperlinks. While this is a practice you can’t use on most article directories, you can certainly use it in your own posts and guest posts. Search engines love hyperlinks. To hyper link, you simple highlight a keyword and link it to another relevant article or site. The idea is to give the reader more bang-for-the-buck. You give your reader a broader reading experience. There you have it, three article marketing mistakes and three solutions.